We have various types of vehicles available from car, coaster, hiace, jeep, van, land cruiser 4WD to big tourist Sutlej bus. We are the reliable company with clean, safe and the best conditioned vehicle. You can choose air conditioned or non-air conditioned vehicle from us. Our well-experienced team will listen to your requirements and help you decide on the vehicle that fits best for your travel experience. We have a various selection of different vehicles for every budget. 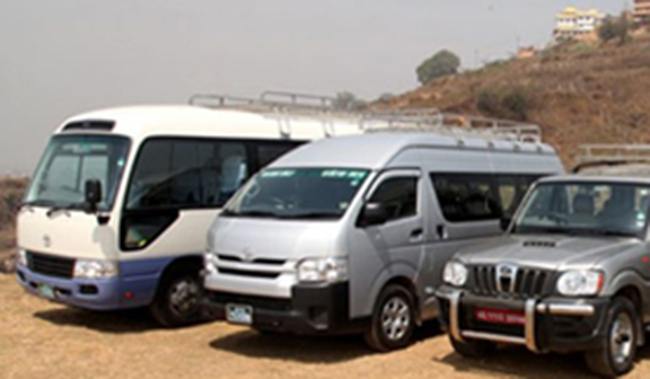 At Tourist Vehicle Service we give you a relaxed traveling experience by ensuring our level of service is friendly and top class at all times. No wonder that many of our customers always find a reason to return to us.